Hide-A-Way™ Anchor Covers are the perfect solution for wall anchor installations in both finished and unfinished basements. The patent-pending, removable Hide-A-Way™ Anchor Cover conceals your wall anchors while still allowing for periodic tightening of the system. Hide-A-Way™ wall anchor covers are perfect for a clean, attractive foundation repair! Call us for a free basement wall repair quote today! The Hide-A-Way™ Wall Anchor Cover System is the ideal answer to this problem. These covers are custom-made for Geo-Lock™ Wall Anchors, and their sleek, paintable design fits in perfectly with any basement wall system you install. At Frontier Basement Systems we provide complete, professional solutions for foundation repairs of all types, including bowing, buckling foundation walls. Our wall anchor system includes a 25-year warranty against manufacturing defects, as well as a performance warranty from us, and is fully compatible with the Hide-A-Way™ Wall Anchor Cover System. 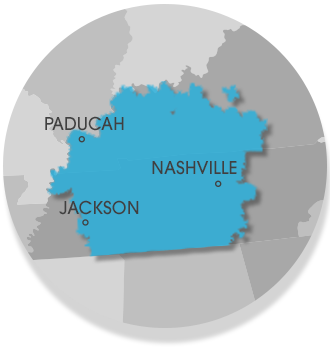 We proudly serve Nashville, Clarksville, Jackson, and many other parts of Tennessee and Kentucky.